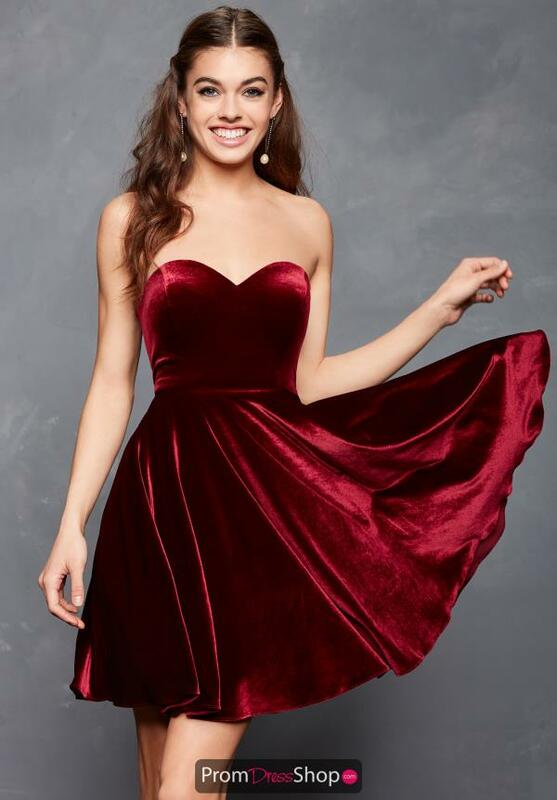 Stun the crowd with this short chic homecoming dress 3652 by Clarisse that has a sweetheart strap less neckline and A-line silhouette that is sure to accentuate your waist. This rich velvet material offers a comfortable fit all night long. Find similar styles, shoes and accessories at Peaches Boutique located in Chicago.